With over 45 artists, concerts and shows for all ages to choose from, Overture Center for the Arts is Wisconsin’s entertainment destination! As you continue to demand the best in Broadway at Overture, we’re excited to bring a season full of hits to you, right here in your own community. The 2019/20 Broadway at Overture presented by American Family Insurance six-show package includes HAMILTON, COME FROM AWAY, MY FAIR LADY, THE COLOR PURPLE, THE SPONGEBOB MUSICAL and THE PLAY THAT GOES WRONG. Returning favorite WICKED can be added to your Broadway subscription to create a seven-show package. In addition to having access to an incredible slate of new and favorite Broadway shows for 2019/20, Broadway Subscribers for next season will be the first to secure their tickets to HAMILTON^’s grand debut in Overture Hall. The six-show package is filled with new-to-Overture titles, while the seven-show package includes the six new-to-Overture titles and tickets to the return of one of our most “popular” shows ever WICKED. 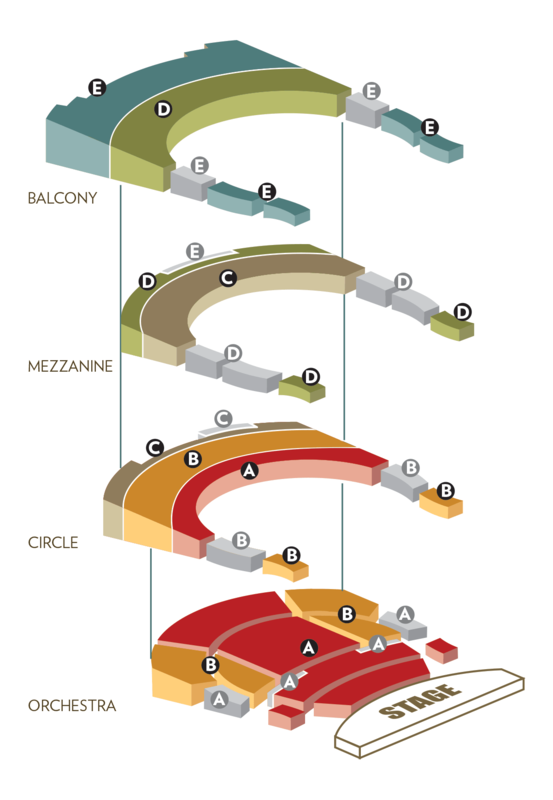 To ensure your same seats for this upcoming season, current Broadway Subscribers must renew by Mary 6, 2019! New subscriptions are available for purchase now. And if you crave even more Broadway action, 2019/20 Broadway subscribers can purchase tickets to Season Options* THE BOOK OF MORMON and RIVERDANCE NEW 25th ANNIVERSARY SHOW before tickets go on sale to the public. At Overture, your Broadway subscription benefits are just beginning with access to the best of Broadway in Madison! Subscribers also have an installment-billing option with four payments, priority seating, and subscriber savings – last season, on average, Broadway subscribers saved 26% off day-of-show pricing**. In addition, you can also get your seats now for Jazz at Lincoln Center Orchestra with Wynton Marsalis, Diavolo dance, The Flying Karamazov Brothers, the National Geographic Live! series and many other concerts, shows and experiences for all ages. 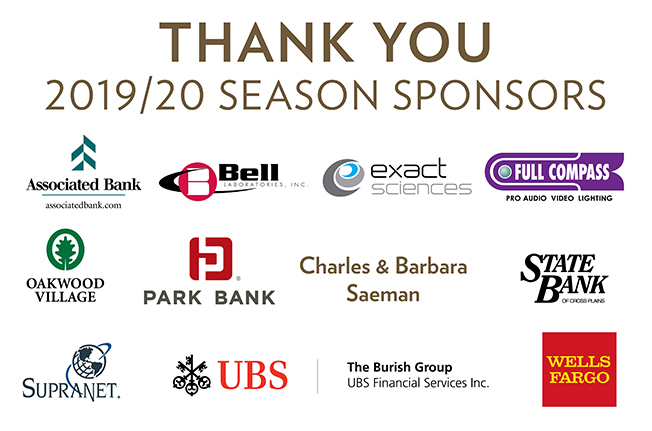 ^Subscriber additional tickets and exchanges may be restricted for all shows in the 19/20 season, including HAMILTON. Ticket limits, subscriber ticket exchanges and access to additional tickets, if available, will be restricted for HAMILTON (more information to follow via email only). Three Subscriptions to Choose From…One Chance to Guarantee Your Seats! The 2019/20 Broadway at Overture presented by American Family Insurance six-show package includes HAMILTON, COME FROM AWAY, MY FAIR LADY, THE COLOR PURPLE, THE SPONGEBOB MUSICAL and THE PLAY THAT GOES WRONG. Returning favorite WICKED can be added to your Broadway subscription to create a seven-show package. Broadway subscribers will also have first access to add Season Options THE BOOK OF MORMON and RIVERDANCE NEW 25TH ANNIVERSARY SHOW. 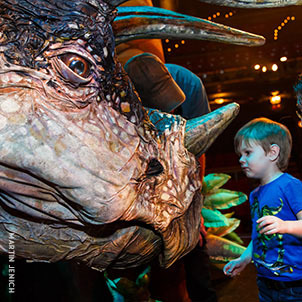 The six-show package starts as low as $222 and the seven-show package starts at $267.25! Pre-packaged non-Broadway Overture Presents performance series (Cabaret, National Geographic Live, or Duck Soup Cinema) make it easy to choose a subscription that fits your taste. Get locked-in subscriber pricing all season, even if prices go up for individual ticket buyers. Gain access to additional tickets to shows before their public onsales. Try a little bit of everything Overture has to offer and select the four (or more!) Overture Presents shows you want to see. Gain access to additional tickets to select shows before their public onsales. Please note: Excludes Broadway titles and free and low-cost performances. Renewal packets will be mailed TUE, APR 9 to current 2018/19 subscribers. The Broadway renewal deadline is MAY 6. Broadway subscribers who took advantage of advanced renewal will still receive a packet in order to add any desired Overture Presents events. New subscriptions will be available beginning 8:30 PM on MON, APR 8 at overture.org. The easiest and fastest way to renew your subscription or to order a brand new subscription is to order online! During checkout, choose mobile delivery and never worry about remembering to grab your tickets from home. After you place your subscription order, you can rest easy knowing that your tickets for each performance will be available on Overture’s app or via our mobile website beginning a few hours before showtime. You can even share mobile tickets for specific seats with guests arriving separately. Click here for more information. Send or bring completed order form to Overture Center Ticket Office. Subscribe by Monday, May 20, 2019, and select the “Installment Billing” option on your order form or online order. Renewing 2018/19 Broadway subscribers can select “Installment Billing” during the renewal process. Your credit card will be billed in four equal installments: upon receipt, May 31, June 26, and July 25. The credit card expiration date must be valid through August 2019. Installment billing does not apply to order charges, donations or season options, which will be included in the first installment payment. Installment billing does not apply to additional tickets to Broadway series shows when they become available. Overture Center values your loyalty and generosity. Your subscriptions and your donations both play a role in your seating. Loyalty: The number of years you have been a subscriber to Overture-presented seasons adds to your priority. Generosity: To improve your priority and seat location, make a donation to support Overture. Not only does your gift improve your seat location † – it also helps others. Your tax-deductible gift will help underwrite Overture’s education and community outreach programs, enabling us to share the performing arts in exciting and impactful ways with the entire community. 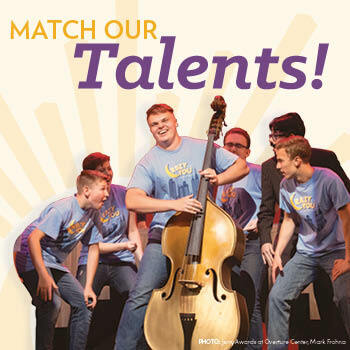 If you give before June 30, 2019, the first $300,000 will be matched by Overture’s Local Legends. † Subject to availability and demand. Questions? Call the ticket office at 608.258.4141. The price of each subscription reflects the face value of your tickets (inclusive of any Season Subscriber discounts) as well as fees, applicable taxes and, if applicable, the Broadway Club or Duck Soup Club membership fee. Additional important information on accessibility, child lap seating and other ticketing policies available in our Ticketing FAQ. Duck Soup Cinema Club fees and memberships are not tax deductible. When you subscribe, take a moment and please donate to Overture. Gifts like yours will provide support to the many programs we have for young people and others. If you give before June 30, 2019, the first $300,000 will be matched by Overture’s Local Legends. *Six-show packages do not include WICKED. Broadway Subscription packages do not include THE BOOK OF MORMON or RIVERDANCE. Additional purchase required. You must renew or purchase a subscription before you can purchase tickets for Season Options. Seats will be sold on a first-come, first-served basis; Season Ticket Package locations not guaranteed. Broadway Club benefits are not offered with Season Options. The ticket limit for Season Options is eight (8) per account, name, billing address or credit card. Any tickets purchased over the limit will be cancelled without notice. 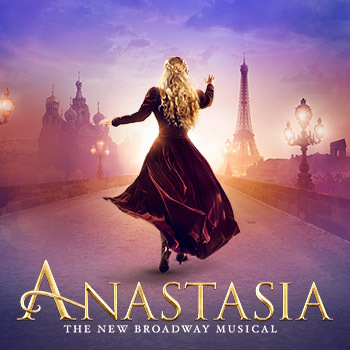 **Savings were calculated by comparing the subscriber ticket pricing (inclusive of all handling fees, facility fees, service charges, applicable taxes, and per seat Broadway Club subscription fees, if applicable) versus day-of-show single ticket pricing when ordered by phone or internet (inclusive of all handling fees, facility fees, service charges, and applicable taxes) for 2017-2018 season performances of A GENTLEMAN’S GUIDE TO LOVE & MURDER, DR SEUSS’S HOW THE GRINCH STOLE CHRISTMAS! THE MUSICAL, RENT, AN AMERICAN IN PARIS, LES MISÉRABLES, ON YOUR FEET! and WAITRESS at Overture Center. Subscriber savings are less when compared to single ticket buyers who purchase at the box office window without paying handling fees and service charges. Subscriber handling fees, service charges and any applicable per seat Broadway Club subscription fees are prorated according to the number of shows in the 2017-2018 basic season subscription package. This calculation does not factor in any Season Options. 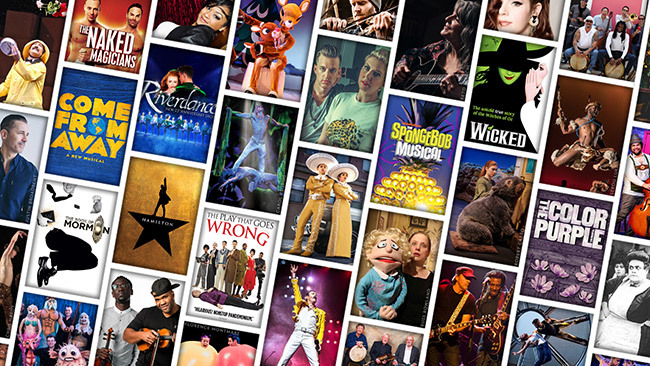 New Broadway season subscriptions are limited to 4 packages per name, account, credit card number, email address, billing address, phone number, IP address, any combination of the preceding or otherwise. Any package purchased over the 4 package limit will be cancelled without notice. Renewing subscribers will have the opportunity to add up to 4 new packages once you renew your current subscription. Prices, shows, dates, schedules, venues and artists are subject to change without notice. Depending on production requirements, seating may occasionally become available in the orchestra pit without notice. All sales are final. No Refunds. Season Subscriptions and all Tickets and Additional Tickets purchased under any Subscription, are subject to the Broadway Across America® Standard Season Subscription Terms and Conditions posted on our website at BroadwayAcrossAmerica.com/SubscriberTerms. By purchasing a Broadway Season Subscription, you agree to such Terms and Conditions. Make a gift between now and JUN 30 to double your impact! Check out special pre- and post-show events for select shows—included with your ticket! Overture Center's mission is to support and elevate our community’s creative culture, economy and quality of life through the arts. Be the first to know about upcoming shows and other news.